Our new Impression website has just been selected for a Special Kudos award by the prestigious CSS Design Awards. 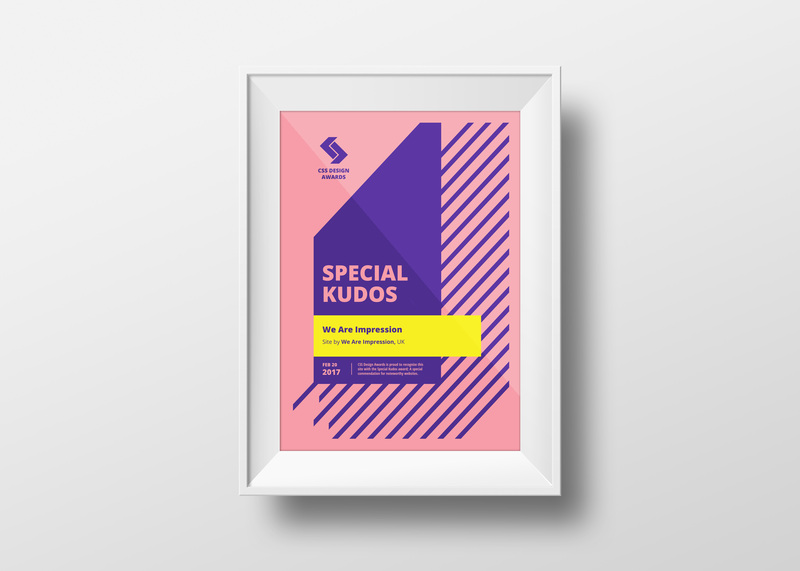 The Special Kudos award recognises outstanding creativity, code and usability in website design. “We are delighted this project has been recognised by the CSS Design Awards, it backs up all the hard work put in by the team over the last few months” says senior designer Andy Ingham.